What we say: The second generation of Big Max's original ultra-compact three- wheel push trolley, the IQ+ bene ts from a deluxe organiser panel and safe storage compartment along with adjustable bag bracket, hand brake and an easy open mechanism. If you’re looking for a fully grown golf trolley that fits in the smallest spaces when folded, look no further than this BIG MAX IQ Plus Trolley. 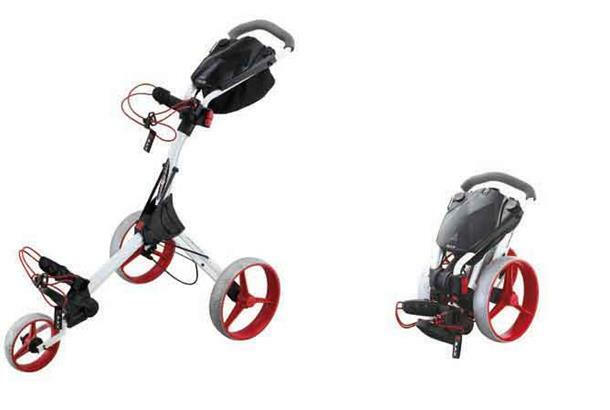 The combination of the One Shake folding mechanism and small folded size make this a unique golf trolley, which is exceptionally easy to use at the golf course. 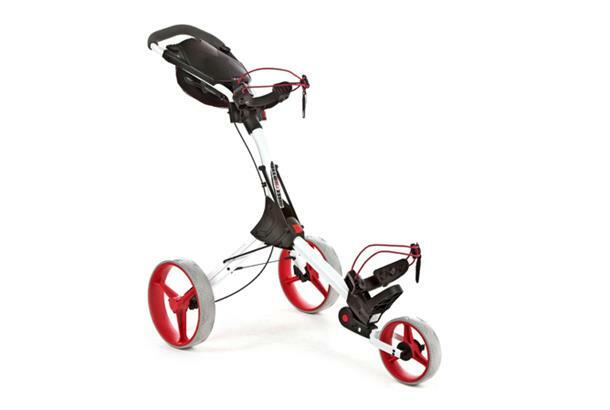 This golf trolley can be folded or assembled using the 3 red buttons within a few seconds, and the front flip wheel can be rotated to reduce the size of the golf trolley even further. 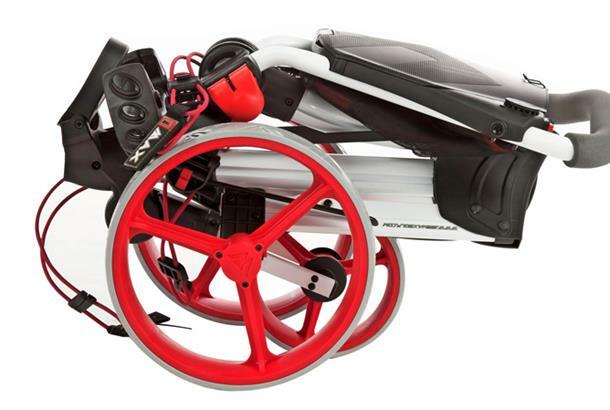 The large and enhanced organiser panel on this BIG MAX IQ Lightweight Trolley ensures you keep on top of your game as you walk the golf course. There is a golf scorecard and bottle holder, as well as tee and pencil holder, and space for your golf ball marker and a pencil sharpener. The storage mesh pocket provides extra storage for any further golf accessories so you never leave anything behind.